Lynn Police logs released today indicate that a pair of car accidents occurred on Monday. The first collision was reported at 180 Commercial Street at nearly 2:00 p.m., and the second at almost 4 p.m. on Stanwood Street. There is no word on whether injuries were sustained. Car accidents are all too common today. From minor fender benders to fatalities. Because there are so many cars on the road, we are all susceptible to a car accident and resulting injuries. It is important, therefore to understand the common causes of car accidents in this country. Lack of focus while driving, or distracted driving, ranks top on the list of causes of car accidents for the past several years. And the cause is growing. It is important to pay attention at all times to the operation of a motor vehicle. This includes avoiding anything that will divert your attention from the road from a cell phone to playing with the radio. Traveling at high rates of speed is another top reason for car accidents. Just because a vehicle can travel quickly does not mean that it should. Speeding prevents you from being able to make thoughtful and safe decisions while driving. Impaired driving is another top cause for car accidents. Drivers can be impaired due to alcohol, illegal drugs, and even prescription drugs. Impaired driver car accidents are more likely to lead to fatalities. Anytime you plan on getting behind the wheel, make sure that you have nor ingested anything that will put your safety, and those of others at risk. 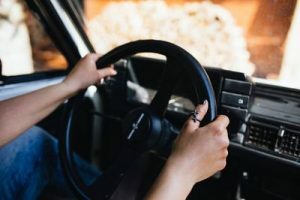 If you have been injured in a car accident where the driver exhibited one of the behaviors above, please call the Law Offices of Jeffrey S. Glassman for a consultation. You can reach us at (617) 367-2900.